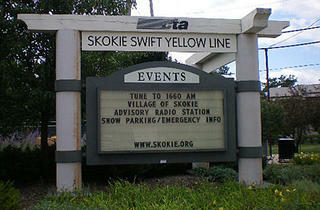 The Skokie Swift quickly deposits you into a no-man's land. One of the first things you notice when you step off the train at the terminus (and only stop, at least for now) of the Yellow Line is the gorgeous Prairie Style former station. Built in 1925, the red brick building with green detailing and chunky white eaves (on the National Register of Historic Places) was moved about 100 feet east of the tracks in 2003 to make way for a more modern station. 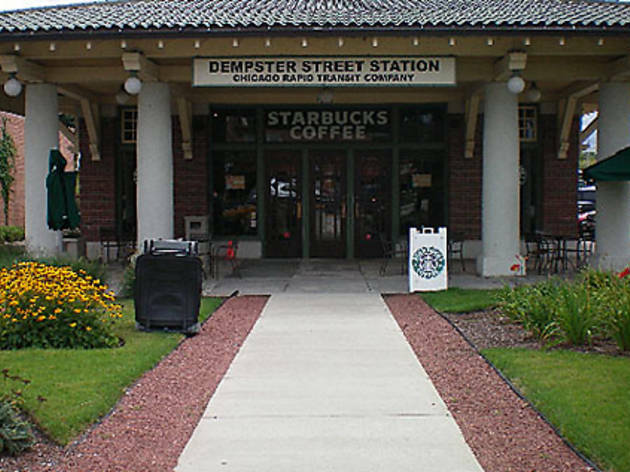 Taking up residence in the station is…drumroll, please…a Starbucks. Before you groan, know that by leasing the space, the ubiquitous coffee chain helped save the building from abandonment or, worse, the wrecking ball. 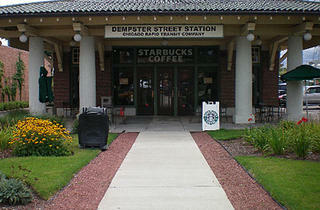 What’s another thing you notice as you leave the new station and walk toward Dempster Street? There is absolutely nothing to see in the vicinity. 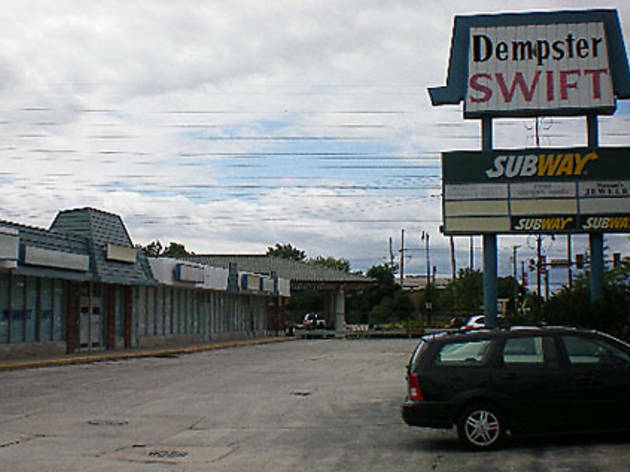 Dingy strip malls (either completely empty or with just one or two sad little stores still open), abandoned car dealerships, blocks and blocks of homes, a McDonald’s…that’s all there is, folks. 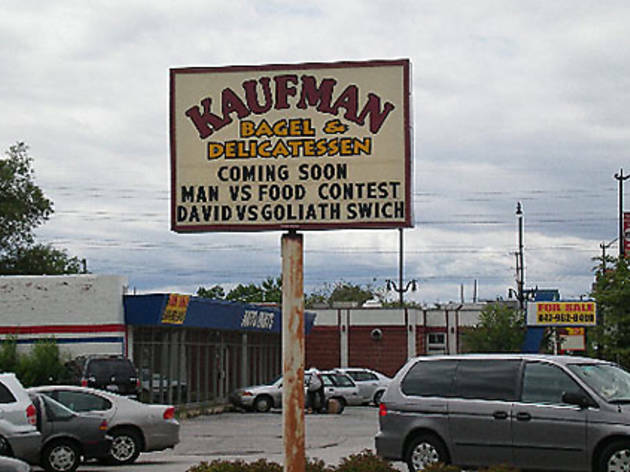 Okay, there is one thing worth checking out: Kaufman’s Deli (4905 W Dempster St, Skokie, 847-677-6190), one block east of the station. It’s been a fixture in the area for 55 years, and one bite of the apricot rugalach is all it takes to know why. Buttery without being greasy, these soft, flaky pastries are so good I had popped three in my mouth before I had even left the store. The sandwiches looked fabulous, especially the Happy Hannukah (piles of pastrami between two warm potato pancakes; $10.25) and the Quintessential Club (turkey, turkey bacon, lettuce, tomato, Russian dressing on challah; $11.25), both of which could easily feed two, plus less enormous standards such as corned beef and smoked turkey ($7.75). 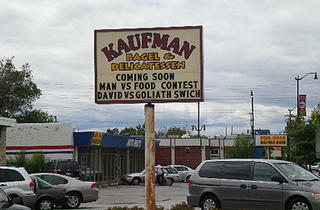 All breads are made there, including the bagels. I bought the garlic and the onion varieties for breakfast that morning, but my dog dragged them off the counter and ate them (including the paper bag), while I was out that evening. Bad dog! 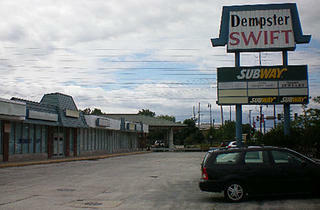 When you leave Kaufman’s, head one block back west to the Skokie Swift…and that’s the end of your walk. 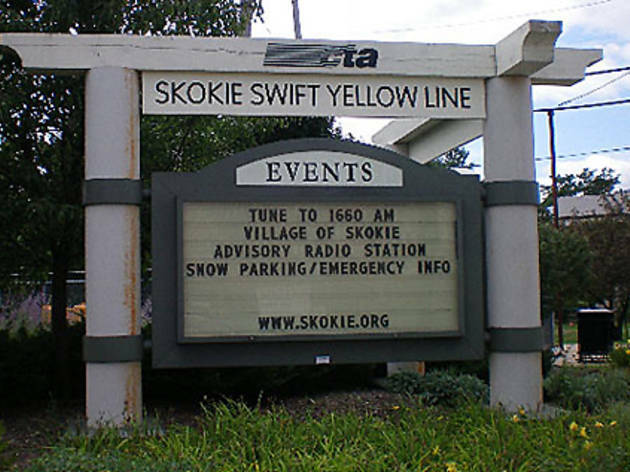 But just imagine all the mall-walking you can do when the CTA extends the Yellow Line to Old Orchard, which will happen perhaps sometime in the next, I don’t know, century.